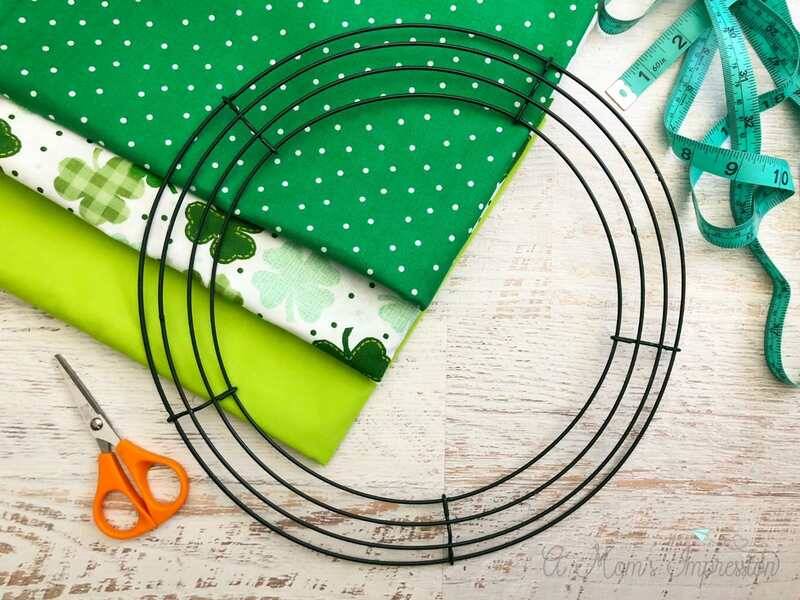 This How to Make a Shamrock Wreath tutorial is easy to follow. 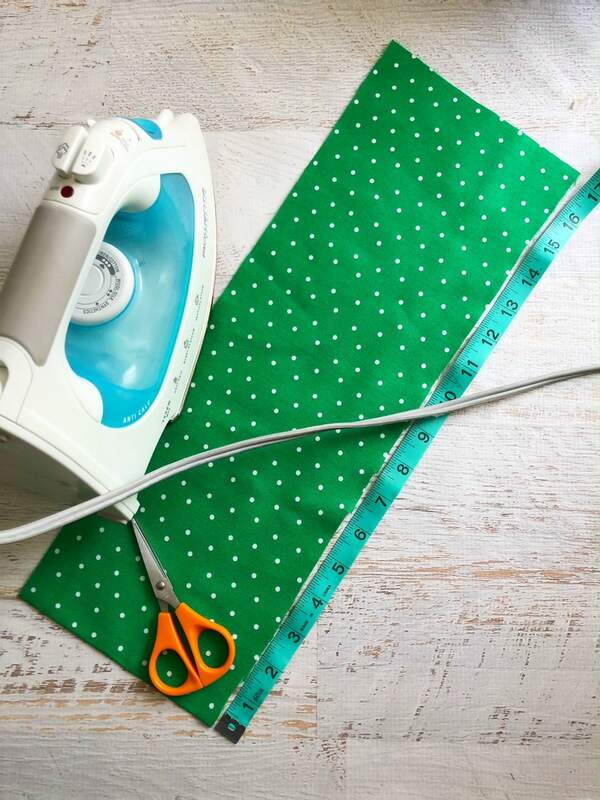 These step by step instructions make it simple to put together. 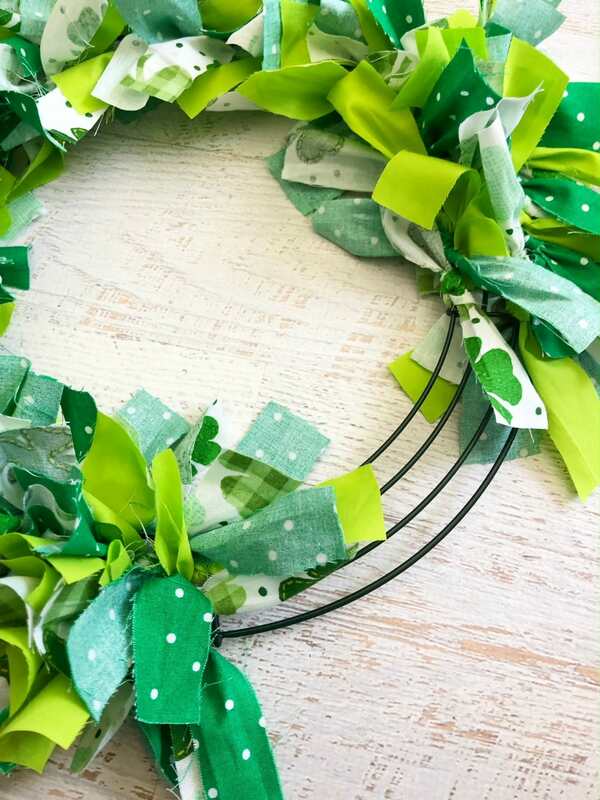 The result is an adorable St. Patrick’s Day wreath that is the perfect addition to your St. Patty’s decor! I love decorating my house for each holiday and season. 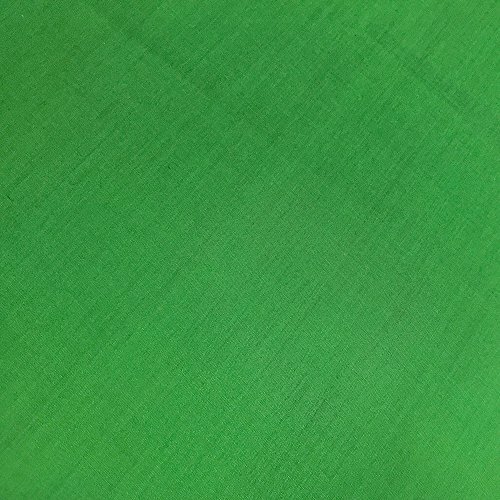 As soon as Valentine’s Day hits, I break out the green glitter playdough and get all my St. Patrick’s Day items out to change up the decor around the house. Each year I like to DIY something special for my home. This year I thought I would keep with the farmhouse theme I have going and make a fabric wreath for our front door. 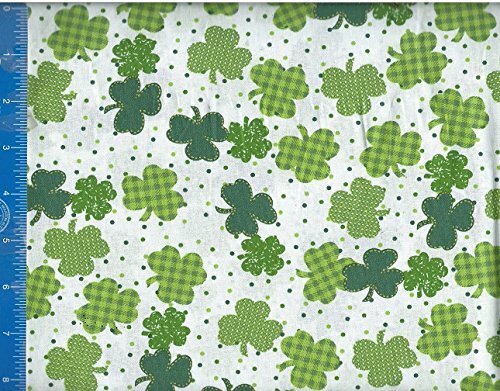 I found some adorable shamrock fabric and paired it with some classic green for a fun shamrock wreath. This project was a bit time consuming, but it wasn’t hard at all. You can get your kids involved and make it a fun family project. 1. 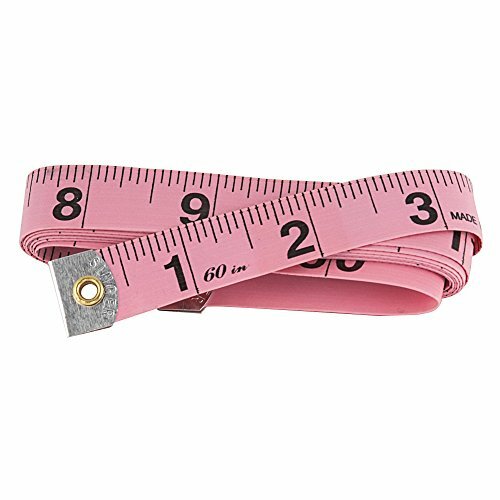 Measure and cut your 3 yards of fabric into 1.5” x 7” strips of fabric. 2. 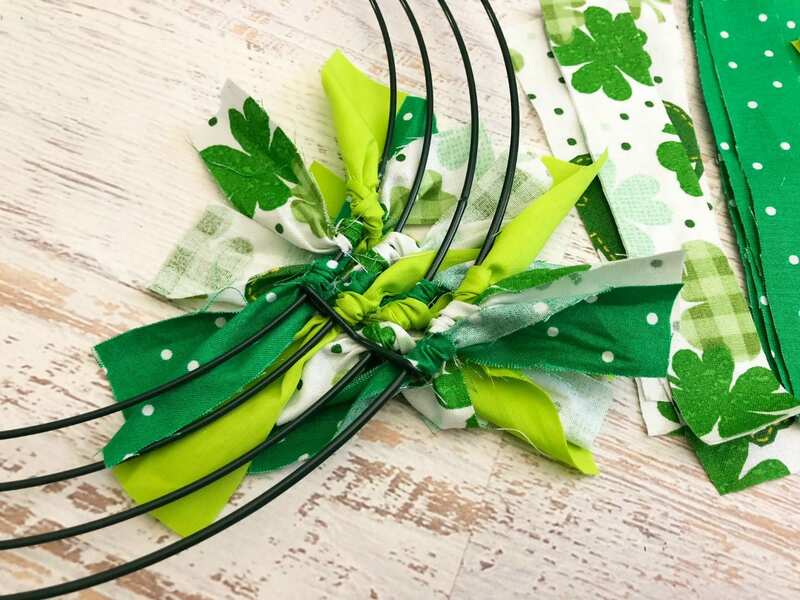 Tie on strips of fabric on your wire wreath in a pattern (green polka dot, shamrock, lime green) one at a time starting on the outer edge and working your way in. 3. 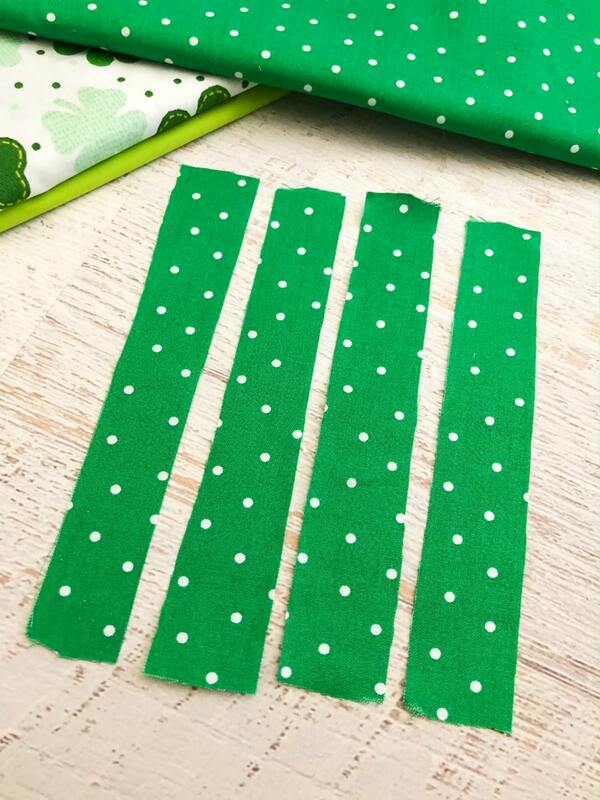 Keep tiring your fabric strips on in a pattern once section at a time. 4. 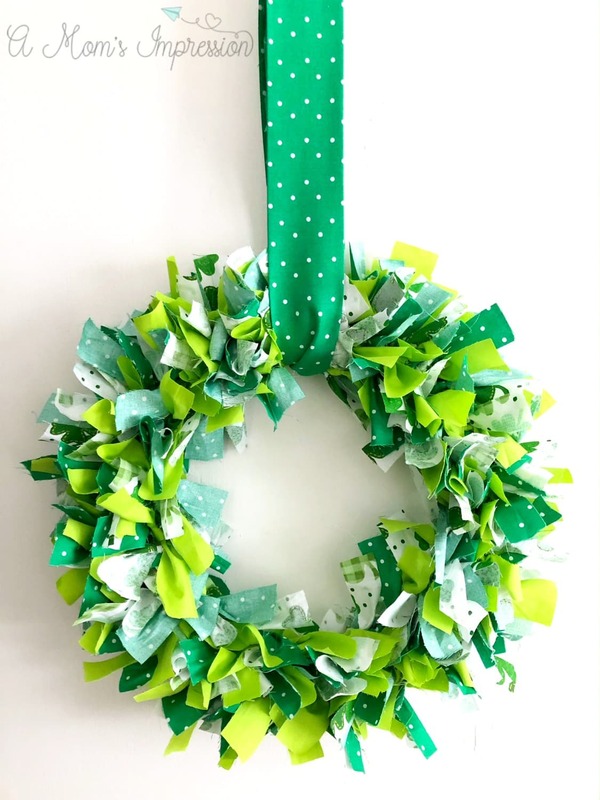 When your wreath is full cut a piece of fabric that is 34” x 7” from your 1/4” yard green polka dot fabric. 5. 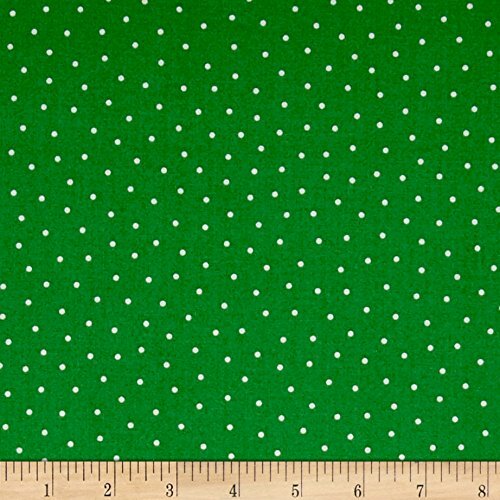 Fold the vertical sides in and iron in place making the fabric look like a strip of 3” wide ribbon. 6. 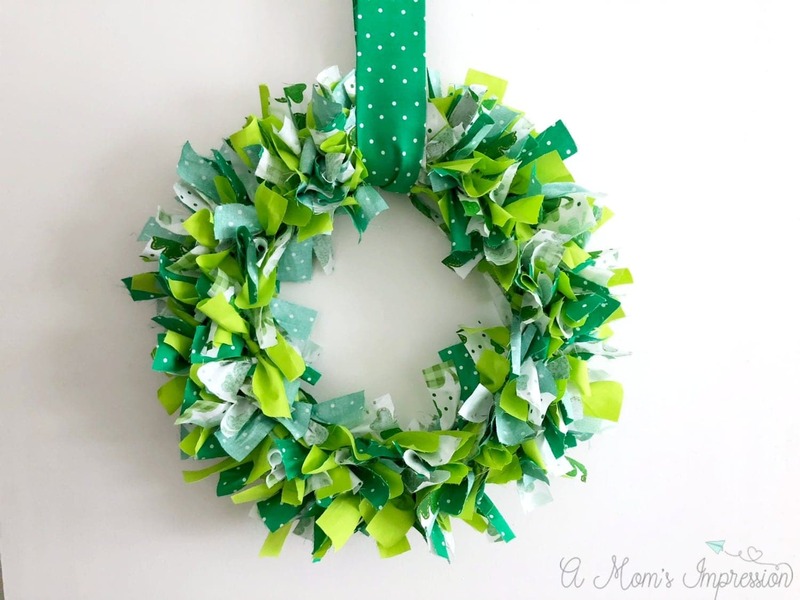 Place your strip of fabric through the center of the wreath and tie the ends into a knot. 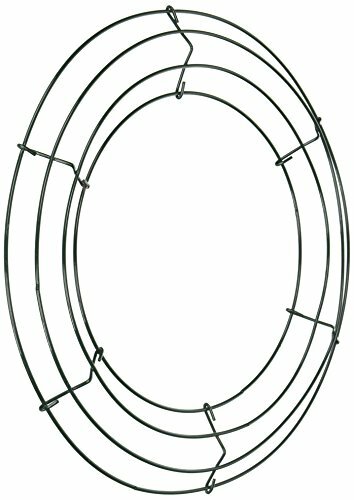 Pull the knot behind the wreath and your wreath is ready to hang.